A gentleman's agreement is the way most all transactions between two or more parties was handled in the past, especially on the farm. It was typically oral, and not written mainly because many people could not read or write 100 years ago. 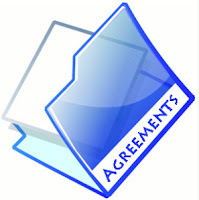 The essence of a gentleman's agreement was that it relies upon the honor and memory of the parties rather than it being a written contract or agreement. I don't much care to get lawyers involved in my business and have little need for written contracts but I certainly have a need to write things down so I don't forget, and it helps my customers remember the specifics of the deal. I have a simple 1-page contract that I use when I sell goats from the Red Fence Farm. Send me a quick email if you would like a free copy. Is My Goat in Heat?